CHILD STUDY – Animation to assist students in completion of assignment Click here to view. This animated video was created to provide another medium for communicating the expectations for the Child Study assignment. I have found that text only instruction tends lead to more questions from the students compared to having a visual or narration. E-DIGICATION – Screen capture with voice over for online classroom Click here to view. 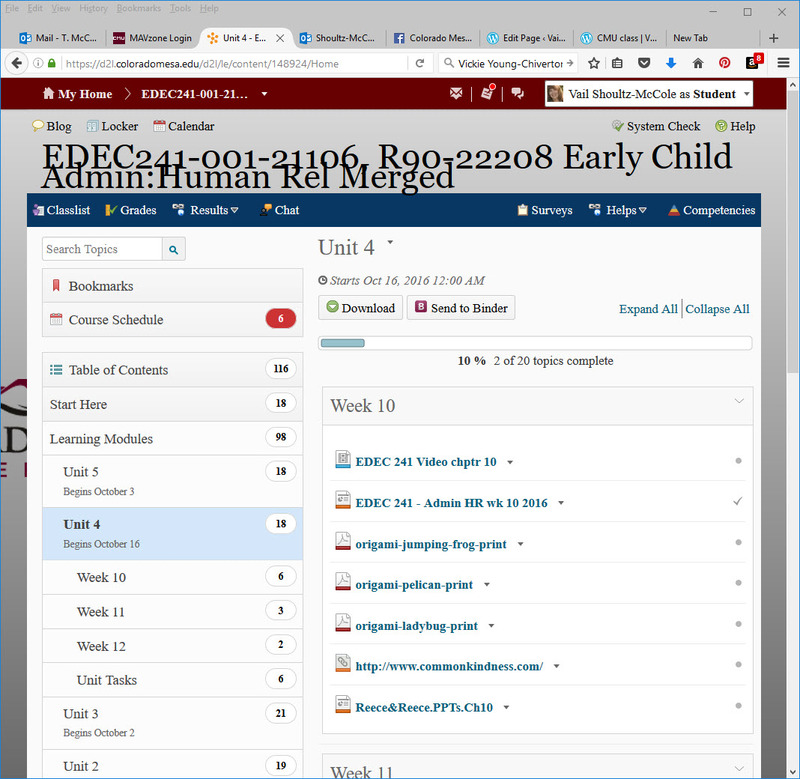 Colorado Mesa University (CMU) has recently added a e-portfolio and is encouraging all faculty to implement it within their courses. The Early Childhood Department is piloting the program so there are limited supports at CMU for students who are struggling. I created this video for my fully online students who would not be able to sit in one of my face to face tutorials on campus. INTERACTIVE LESSON EXAMPLE – Cupcakes and Curriculum – A video guide for Student Teachers – Click here to view. This Pecha Kucha video was created as part of my coursework for one of my INTE courses. I have used it with my online lab class as one of the lectures regarding hands on activities they can complete with young children in their classrooms. INTE COURSEWORK EXAMPLE – Animated summary of INTE 5320 Course Click here to view. This was a required assignment for my Gaming course. This type of reflection allows for a greater depth of what the student experienced. Spring 2017 I will have several fully online courses and am going to incorporate this type of reflection activity into my Curriculum course to replace the current text only reflection. GREEN SCREEN VIDEO – Bison Bob’s Behind the Scenes video April – shot video and editing – Click here to view. Initially this was only for my son’s business venture I have shared information with my college students. A few of them have created lessons plans using a green screen as a backdrop. Then the children can choose from the backgrounds the teacher supplies and create a story about an adventure. CMU provides all courses with a blank shell. Instructors are expected to upload and design their own online classroom space. All assignments as well as a variety of different resources, videos, and web links are created for the classroom. The department has agreed to a basic outline so as to make it easier for students to navigate our courses. 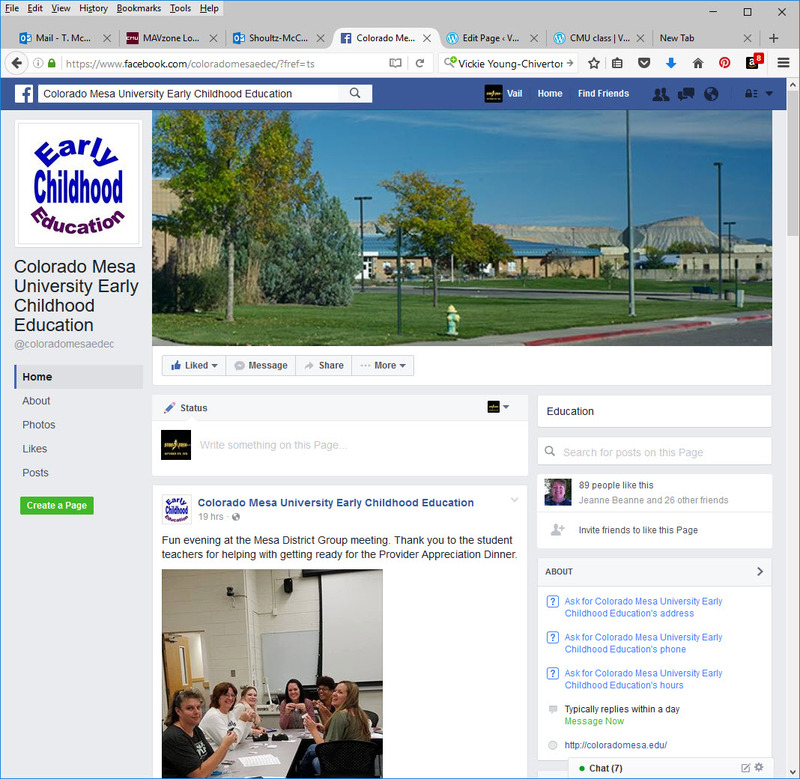 The department was recently approved to have a Facebook page maintained by the faculty. I maintain the site and upload a variety of different information. 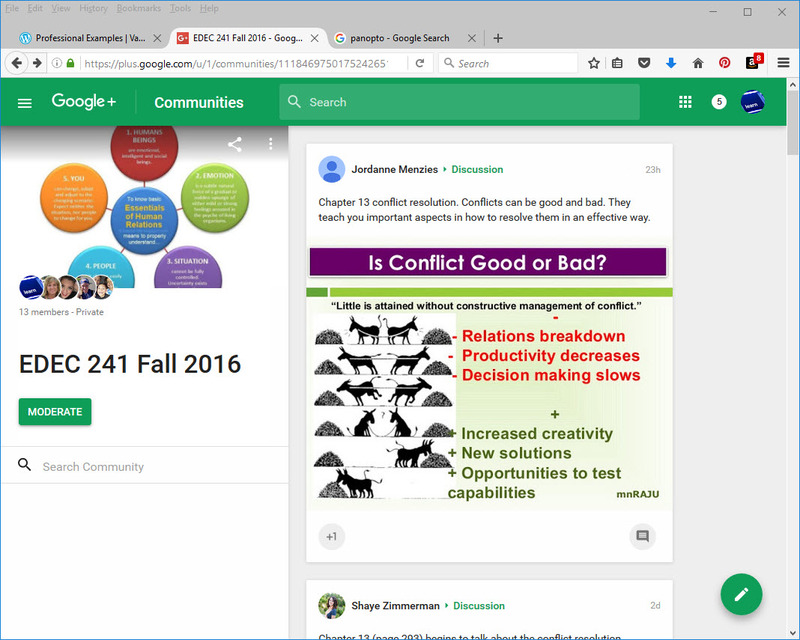 Students are encouraged to Like the site as we post upcoming courses. I was introduced to this site through my INTE course as a dynamic interactive way to have a dialog with my online peers. Currently the majority of my online classes use this instead of the typical online platform discussion area. Student have commented on how they like it much better and being required to find a visual regarding a concept we are learning makes the concept easier to understand. 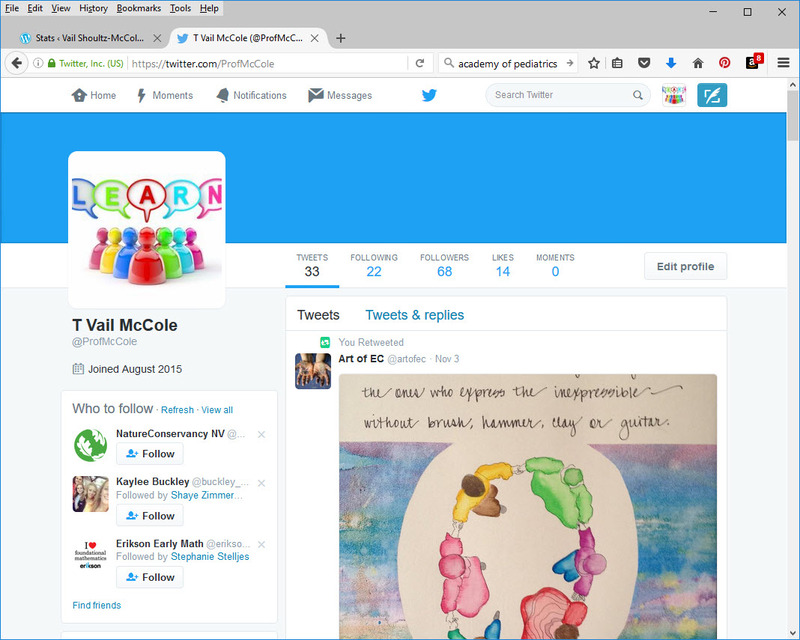 Twitter is a great resource for students but most do not realize that. I did not until I started my INTE Social Media course. In the Ethics course I have students explore a different side of Twitter then most of them have seen. They use it as a resource tool by searching and then sharing different early childhood resources that they have found both reliable and gossip.